Let's all follow John Lennon's words in his song "Give Peace a Chance". 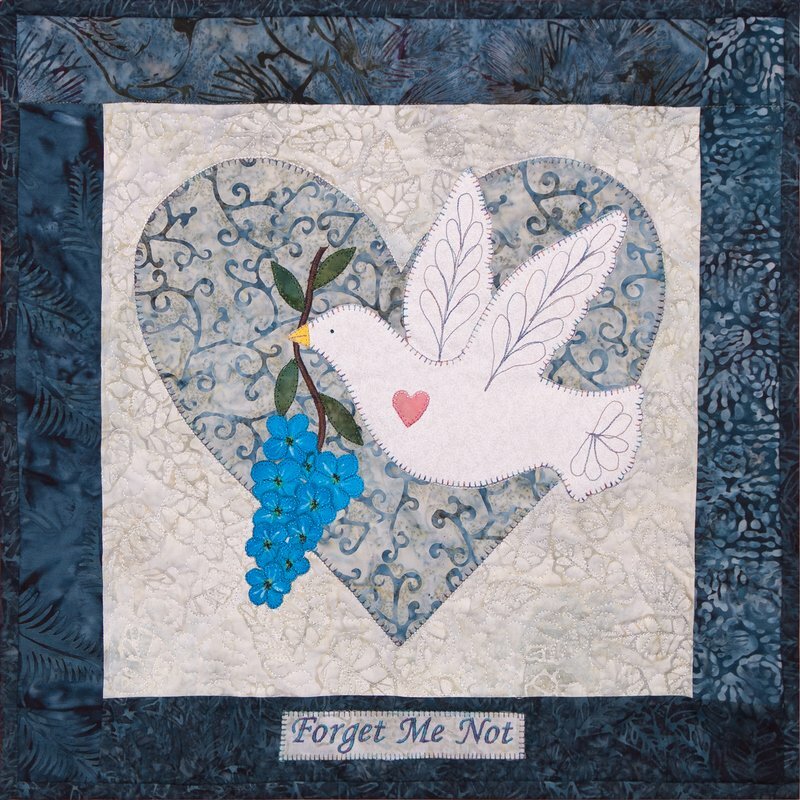 - "Forget me Not" design would make a great gift for that special person who has moved away and is longer close by or in memory of a lost love one. 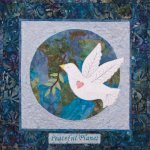 - "Peaceful Plant" This traditional Dove is circling the globe reminding us all of the importance of world peace everywhere. 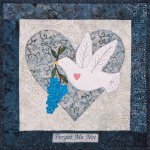 Included in the pattern are the stitching lines for the dove wings and tail which can be free motion stitching or hand stitched; Both designs are machine appliquéd on a neutral background and the plaques where machine embroidered, but can be done with hand stitching as well. Finished size 20" x 20".